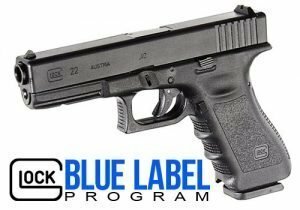 Glock Blue Label – Target World Inc.
GLOCK is proud to offer the exclusive Blue Label program to support those who protect and serve communities across the U.S. and around the world. Those who qualify will receive a discount on any GLOCK LE pistol of their choice. *Excludes colored pistols. Eligible participants may purchase 2 weapons per calendar year and may order from a participating GLOCK Law Enforcement Distributor, Sub-Distributor, or directly from GLOCK, Inc. Purchases from Law Enforcement Distributors, with a retail location, or Sub-Distributor purchases can be done directly at their location by simply showing your credentials. For a list of Law Enforcement Distributors or Sub-Distributors in your area visit us.glock.com, enter your zip code into the dealer locator on the top right of the page, and search under the LE Dealer tab. If you have further questions call the Customer Service Department @ 770-432-1202. Delivery times for purchases from distributors depend upon their inventories and weapons on order. Buying directly from GLOCK, Inc. can take approximately 180+ day’s after all proper credentials, paperwork and payment has been received, regardless of weapon model. If you choose to order directly from GLOCK, Inc. please e-mail a copy of you credentials to BlueLabelSales@glock.us . A copy of the price list along with purchasing instructions will be e-mailed to you as soon as possible. All required documents must be submitted correct, complete, and include a method of payment. If orders are received missing any documents or payment the order will not be processed and will be returned. Prices on the form are not guaranteed and may vary. Prices do not include transfer fees or taxes where applicable. **Prices May Vary and are not set by GLOCK. Most pricing will be 75-100.00 off the retail price depending on the model. ***** PLEASE NOTE: Due to state law, orders being shipped to CA, NJ, MO, & PA must be shipped to a dealer with a valid FFL. You are responsible for all transfer fees. **CA & NY are required to submit a valid FFL to ship to as well as a Lautenberg (authorization) Letter when requesting High Capacity Magazines and/or pistols that are not California Compliant.